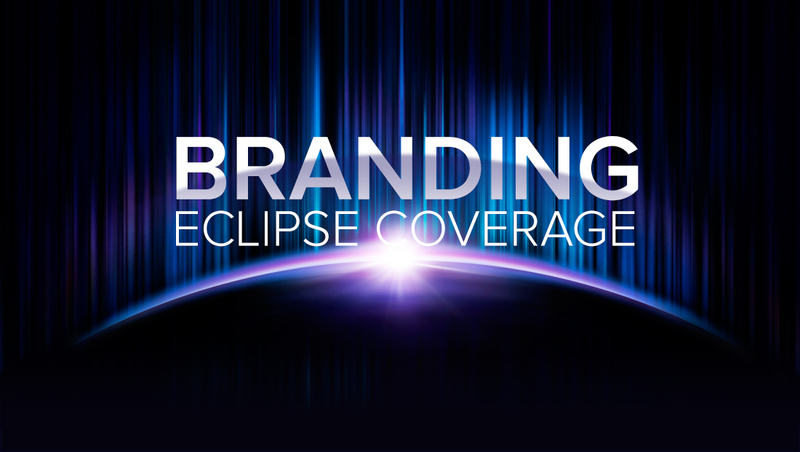 As the United States gets ready for the long anticipated solar eclipse Aug. 21, 2017, the major broadcast and cable networks have created special branding and logo designs for their coverage. CBS News‘ solar eclipse branding uses is “Solar Eclipse 08.21.17.” The logotype features gold and white lettering rendered in a wide font with curved corners, giving it a space age look. A dark curve against a burst of light that fades into violet and a starscape divides the two words.